Students and teachers: when you’re looking for quality information to support your teaching and learning, we invite you to explore the links here. Here you’ll find a wide range of resource types from New Zealand and overseas, along with tips on how to make best use of them. Learn more here about the amazing world of science by enjoying our fun science experiments, cool facts, online games, free activities, ideas, lesson plans, photos, quizzes, videos & science fair projects. Find this and more here. New Zealand History online A New Zealand history website produced by professional historians for a general audience. Includes a broad range of topics, audio clips and videos. simple, interactive one-page demonstration of how Boolean searching works. Just move your cursor over the AND / OR / NOT and you’ll see how it influences your search results. 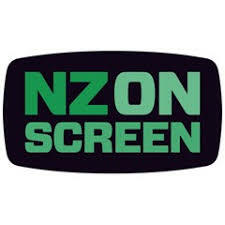 DigitalNZ - is where you can search for great New Zealand content. The site has more that 25 million digital items- including audio. Children and their families deserve to have access to the books of their culture, as well as the majority culture, regardless of where they live. The Foundation aspires to have every culture and language represented so that every child can know and appreciate the riches of children's literature from the world community. BibMe. A great tool to use when you need to make a bibliography. You can use it to cite websites, books, journals, film - pretty much anything you want to cite. Archives New Zealand, Te Rua Mahara o te Kāwanatanga is the official guardian of New Zealand’s public archives. It gathers, stores and protects an extremely wide range of material. Examples of their holdings include the originals of the Treaty of Waitangi, government documents, maps, paintings, photographs and film. ​Te Ara - The Encyclopaedia of New Zealand is the best online encyclopedia for New Zealand. In Māori, Te Ara means ‘the pathway’. Through interlinking text and image trails, the Encyclopedia takes you on a journey of discovery. Beginning with the theme of Peoples, it will eventually present a comprehensive guide to New Zealand – its natural environment, history, culture, economics and government. is an ability to narrow your search by genre, year, format and more. Are you wanting to find a New Zealand short story? Click on this link from The University of Waikato. magazines and newspapers. This is mygateway.info - a collection of online "premium"
databases you can access for free with your WCC library card.